You got question, and we have answers! Rapid Learning Center is ready to help. (1) Read through our Q&A entries below. (2) If you still have questions, contact our support desk anytime 24/7. (3) Call us toll-free at (877) RAPID-10 during our normal business hours. What is Rapid Learning anyway? Who is Rapid Learning Center? What are the differences in all these editions? How soon can I get the product(s)? Can I have the CD/DVD via Express Delivery? What are the technical requirements to use these courses? Can I order by Fax or pay by check or money order? Is it safe to order on your site? Should I get the Lite Edition (MP3)? Can I watch your DVD on TV? Should I take your high school chemistry course before taking the college chemistry? Which should I take, AP Chemistry or College Chemistry? Does this cover a one-semester or two-semester course? Is there any difference between College Biology and High School Biology? What are the equivalent courses to UK's GCSE and A-Level Biology? Do you have CLEP Biology? Should I take A&P or Human Physiology? Is there any difference between College Physics and Calculus Physics? What is the math requirement for a physics course? Should I take both high school physics and college physics? What math courses should I take as a high school student? What math courses should I take in college? Is there any difference between PreCalculus and Trigonometry? You have so many calculus courses, which one I should take? Why Rapid Learning MCAT Program? Any difference between the college-level course and MCAT-level course? What other courses I should review to further boost my MCAT score? How to use iPad for Rapid Learning? How to use the Lite Edition's MP3 for my iPod/iPhone? How to use the cheat sheets? How to view the movies? How to practice the drills? My DVD does not work, what to do now? I can't see or hear anything when clicking the movie links, what to do? What should I do, I can't print the cheat sheet? I can't log into RLC's membership site, what went wrong? Flash Player 10 Issue: On CD/DVD, I see a blank screen when clicking on the core tutorial link, what next? On core tutorials, I occasionally see the last line of text partially rendered, any idea? Chrome and CD/DVD: I can't see the Table of Contents when launching the course viewer from a disk? Security Blocking: I can't see the core tutorials due to the security restriction? Is my monthly subscription refundable if not used? Q : What is Rapid Learning? A : Coupling rich-media learning with smart teaching, Rapid Learning is a break-through fast-paced deep learning system using the RapidMastery(tm) formula pioneered by Rapid Learning Center. This success formula has three basic learning modules: core concepts + problem drills + super review, which are facilitated by rich-media videos, interactive game-based drills and cheat sheets, respectively. With the focus on core concepts and problem solving via multi-modal learning of visual, auditory and drills, it provides an easy and fast way to academic mastery of difficult subjects. Q : Who is Rapid Learning Center? A : Founded in 2005, Rapid Learning Center (RLC) is a group of experienced educators and creative media developers, devoted to empower students and teachers with the state-of-the-art learning tools and rich-media learning experience. Our course developers are veteran college professors, high-school master teachers and instructional designers, lead by Dr. Wayne Huang. Q : Why should I trust RLC? A : First, the effectiveness of our rapid learning courses speaks for itself. Take a test drive in our Preview Center and experience the difference. Secondly, the only thing that matters is the learning result. Rich-media learning is a much rewarding and enjoyable learning than the traditional text-book reading. The academic success of our students is the only reason we are growing rapidly and releasing more and more rapid learning courses (100+). Check out the Success Stories. Thirdly, the academic credentials and teaching experiences of our team provide the solid foundation and support for quality products, with over 80 PhDs and 20 Masters. Here is the partial list of our Faculty Members. Do you want our specialized professors and master teachers to teach you the right way or just hire a struggling college student to tutor you? Lastly, RLC is a trusted member of the Better Business Bureau with a company rating of "AA" - An extremely high rating. Check out our corporate Profile. Q : What are the differences in all these editions? - The Monthly Subscription Edition is a standard Edition on monthly billing ($25/month). It comes with 24 core tutorials, problem drills and review sheets, one month at a time, until you cancel. It is for online access only. You can cancel anytime via your online membership account by clicking "Cancel Subscription" link there, one click does it. - The Lite Edition is a set of 24x audio MP3 lectures for all 24 chapters. It is not for core study, it is rather to be used as a supplemental study, along with the visual tutorials from either the Standard or Premium edition. This Lite edition is for learning-on-the-go as an enhancement to the visual learning. It is for online access only. - The Standard Edition has all three core components, 24x video tutorials, 24x drills and 24x cheat sheets, for online-only access of 12 months. It is the baseline for our Rapid Learning System. - The Premium Edition has everything on the Standard, plus 24x printable tutorials (for offline reading) and the gold CD shipped to you for life-time usage. The CD allows you to study anywhere anytime without the Internet. Standard vs Premium is like 12-month rental vs life-time ownership of a course. - The Platinum Edition (the best package) has all five components: 24x Visual tutorials, 24x Problem Drills, 24x Cheat sheets, 24x printable tutorials and 24x MP3 tutorials. It is much like the Lite and Premium combo in DVD, with life-time usage. This is to use all learning channels - visual, auditory, hands-on and reading, to achieve maximum learning result. This is rapid learning at its best. Check out the Edition Comparison Chart for the at-a-glance feature list. Q : How soon can I get the product(s)? A : After completing your order, you will have the instant access via our secured membership site with a user name and password provided to you right away. If you order Premium or Platinum course(s), the CD/DVD will be processed and shipped to you the same day or next day. The delivery will take 5-7 business days in US and 7-10 days to most countries. Q : Can I have the CD/DVD via express delivery? A : RLC does provide expedited shipping services for both US and International. The fee and delivery schedule depend on your order and the destination of delivery. Select the Expedited Shipping option on checkout to display the expedited fee or call our CustomerCare for fee and time of the delivery. Q : What are the technical requirements to use these courses? Note: 98% of the computers today have all three above installed already. Be sure to have the latest (or at least relatively recent) versions of the above. You might also want to disable all popup blockers. For online access, you might want to allow cookies on your browser. 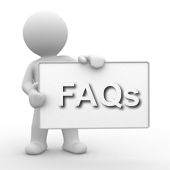 Q : Can I order by fax, pay by check, money order, or direct wire/Western Union? A : Yes, we do accept fax order with credit card. Just go to the Courses page and click the "Order by Fax with Credit Card" link at the bottom and print the order form out and follow the instruction there to fill the order. We also accept personal check or money order, which will take longer to process. To order by check or money order, just go to the Courses page and click the "Order by Check or Money Order" link and print the form and follow the instruction inside to fill in and mail out the form. We also accept eCheck order, which allows you to use your checking online by just entering your bank's routing number and your checking account number. Select CreditCards/eCheck option during the order process. Lastly, we also accept Western Union worldwide. For complete instruction, check out the other payment options at the bottom of the Courses page. Q : What is in the CD or DVD? A : The online courses have the exact same content as the CD or DVD courses, with both you will have the online and offline access. (1) The Premium Edition comes with the Gold CD with four rapid learning modules - 24x video tutorials, problem drills, cheat sheets and printable tutorials. (2) The Platinum Edition comes with the Platinum DVD with five learning modules - premium contents + 24x MP3 audio tutorials for iPod/iPhone. The Platinum is the best learning package. Get the best and don't cut yourself short on education. Both CD/DVD enable you to own the course(s) you purchase with life-time access. Q : Is safe to order on your site? A : Rapid Learning's Online Order System, powered by Authorize.net, is highly secured credit card processor with the latest 128-bit Secure Sockets Layer (SSL) technology for secure Internet Protocol (IP) transactions and data encryption. After you select the course(s) and click Continue, you will enter the secure session with the data encrypted (note the lock icon display in your browser). We also provide the secure Paypal payment, the leader in online secure payment provider. All your payment information will be safeguarded at the high level of security available online. We do not store your credit card information on our site. Q : Should I just get the Lite Edition (MP3)? - Primary Level: There are three essential components for any rapid learning course (1) Narrated Video Tutorials x24 (2) Problem-Solving Drills x24 (3) Super-Review Cheatsheets x24. These three parts work together synergetically, hour by hour and chapter by chapter in 24 chapters for each course, to accomplish the maximum learning result. These three components are available from the Standard Edition (12-month Online Only), Premium Edition (CD Life-time with Printables), and Platinum Edition (DVD Life-time with Printables+MP3). - Secondary Level: There are two optional learning components (1) Audio MP3 Tutorials x24 (2) Printable Tutorials x24. These are for enhancement learning, not for core learning. Audio listening is an alternative way to further reinforce what you have learned from the visual tutorials. Audio is for learning-on-the-go, itself alone is NOT an optimal core study tool. The reason is rather simple - chemistry, biology or physics is really a visual science, which is best learned visually. The MP3 plus the printables are available from our Lite Edition. Get the Lite Edition, if you have already owned the Standard or Premium Edition. The Platinum Edition is the best package with all five components in DVD (Premium + Lite). You will use all learning channels of visual, auditory, hands-on and reading, and combine together to achieve the deep learning and rapid mastery of 24-chapter contents. For all edition comparison chart, go to All Edition Feature Comparison Chart. Q : Can I watch your DVD on TV? A : Rapid Learning is designed for intensive study with single focus on-screen, no multi-tasking. Sitting in front of the TV will not cut it for this purpose. As soon as you sit on that safa, your brain will shift the gear to the mode for entertainment or news. You should never learn math and science via TV. Our DVD's will not work with a DVD player for TV viewing. It is for computer-based CD/DVD-ROM. The ideal learning environment is on-screen with a headphone in a quiet space. Q : Should I take your high school chemistry before taking college chemistry? A : Traditionally, you would have to. With our college chemistry course structure, you don't need to take the high school chemistry first. Our college chemistry does not have the prerequisite, since it has the Foundation Tutorials built-in to prepare you the basic skills needed before you ease into the full-length general chemistry. Q : Which should I take, AP Chemistry or College Chemistry? A : AP Chemistry course is specifically designed for students who are currently taking advanced placement chemistry course at high school and preparing to take the exit exam. The course curriculum is closely matched the College Board's requirements and AP specific topics/problems are incorporated into our AP course - each of the 24 chapters. For example, the topic of how to predict products is AP specific (Question #4), we have one chapter to cover that topic alone. AP Chemistry is a college-level course taken advanced high school students. Unless you are currently enrolled in the AP course or preparing the AP exam, you should take either the high school chemistry or college chemistry. Q : Does college chemistry cover a one-semester or two-semester course? A : Our chemistry courses cover one-year two-semester course content. For example, our college chemistry is equivalent to both chemistry 101 and 102 at the college level (or whatever it is called). Q : Is there any difference between College Biology and High School Biology? A : Yes, there is. At high school, human systems are covered extensively. At college level, its one-year course surveys macromolecules, cell biology, microbiology, genetics, human and animal systems, evolution and ecology. If you look for an extensive coverage on anatomy, take both College Biology (RL201) and Anatomy & Physiology (RL204) courses together. Q : What are the equivalent courses to UK's GCSE and A-Level Biology? A : The GCSE topics outlined by AQA is equivalent to our High School Biology (RL202). However, the A-level (AS & A2) would be best studied by two rapid learning courses at college level - College Biology (RL201) and Anatomy and Physiology (RL204). Q : Do you have CLEP Biology? A : CLEP is the standardized exam to test out of the college courses. This is a college level course. Use our College Biology Rapid Learning Course (RL201) for CLEP Biology. Optionally (not required), you can also study our Anatomy & Physiology (RL204) for in-depth human anatomy and basic physiology for the structure and essential function coverage. Q : Should I take A&P or Human Physiology? A : "A&P" (RL204) is a typical first year course on Human Anatomy and Basic Physiology, which covers mainly the anatomical aspect (in depth structurally) of 11 systems in a human body with essential physiology; whereas "Human Physiology" (RL209) is an upper level course (much more in depth physiologically) on the body functions - the study of homeostasis, integration and control at cellular and human organ system levels. Simply if you are taking human anatomy or A&P course, go with our RL204. If you are taking the human physiology course, go with our RL209. Ultimately, RL204 and RL209 together provide the complete coverage on both structures and functions of a human body. Q : Is there any difference between college physics and calculus physics? A : Yes, there is. College Physics is the algebra-based physics course for most students. Calculus Physics is the calculus-based course for science and engineering students, who should have completed a calculus course or take it concurrently. Q : What is the math requirement for the physics course? A : For college physics, you should at least complete the college algebra, and for calculus-based physics, you should complete the one-term calculus course or take the calculus concurrently. Q : Should I take both high school physics and college physics? A : No, you don't need to take both, just one or the other. There are lots of topics overlapped. The main difference is on the kinetic theory and thermodynamics coverage. However, you might want to take High School Physics and then Calculus-based Physics if you are heading to science and engineering. Q : What math courses I should take as a high school student? A : After completing the middle school's Pre-Algebra, the typical sequence of math courses is Algebra 1, Geometry, and Algebra 2, optionally Trigonometry or Precalculus before heading to AP Calculus. Q : What math courses I should take in college? A : If you are in college-prep or in college, you typically start with Pre-Algebra, Elementary Algebra, then Intermediate Algebra and then College Algebra, which is required for almost all majors. You might also need to take Precalculus and Calculus thereafter if required. Q : Is there any difference between Trigonometry and Precalculus? A : Both are fairly similar in topical coverage. Our trigonometry course has more detailed and expanded coverage on the trigonometry and less on algebra, while our Precalculus has the trig core but extends to algebra broadly. Q : You have so many calculus courses, which one I should take? A : We have a number of calculus courses, designed for the level and major you are at. Simply, if you are high school students taking calculus course (AP or Honor), you should take our Calculus AB (equivalent to Calculus I) or Calculus BC (equivalent to Calculus I & II). If you are in college or university and required to take one-semester calculus course, go with our College Calculus course. If you are required to take three (or four) semesters of calculus, such as engineering, math and science majors, you should go with our Calculus I, II and III. You don't need to take both College Calculus and Calculus I, since they are virtually the same course. Q : Why Rapid Learning MCAT Program? 1. The most relevant MCAT courses - Our MCAT science courses have one-to-one match with the official AAMC's MCAT topical requirements. Print them out and compare yourself. 2. The most comprehensive MCAT courses - These are college-level courses with MCAT focus, designed for deep learning and comprehensive study, not just an outline or overview review. If you feel that you need just a quick refresher, since you just took these four foundation courses within the last 12 months, this might be an overkill. If you need to re-learn them chapter by chapter comprehensively via rapid learning, this is the one for you. 3. The fastest MCAT courses - With a rapid learning system, one hour at a time, one hour per chapter, total of 24 chapters, you can master one MCAT subject course in 24 hours visually and systematically. 4. The most visual courses - These rich-media tutorials are designed with enhanced visualization, animation and illustration, with expert narration. No more talking-head monologue-style video. No more flash card review or audio-only learning. 5. The newest content - AAMC had revised the MCAT since 2015 to expand more contents. These courses are the latest Edition, specifically designed for CBT test format. You learn it on-screen and take the test on-screen. The chapters reflects all new changes in MCAT, unlike other test-prep with the reshuffled 10-year old contents. Q : Any difference between the college-level course and MCAT-level course? A : Both are structured similarly with 24-chapter format and rich-media teaching using the Rapid Learning System and represent the topical coverage of traditional two-semester classroom courses in a university. Simply, our MCAT courses are the full-length college courses with MCAT focus. They are NOT an outline or overview, but the comprehensive coverage of ALL MCAT topics chapter by chapter. It is for deep-learning or complete full review or relearn. They are all new Edition, specifically for CBT format. (1) Chapter selection and topic organization: Our MCAT courses are designed to closely mirror the official AAMC's topical requirements with one-to-one match. If you look at the official MCAT topics and our MCAT topical chapters, you can see our MCAT courses are the most relevant and up-to-date courses in the market. (2) Test-Prep: Each chapter, there is a specific section "MCAT Test Strategies" to discuss the MCAT passage-type approach to questions on that chapter, which is missing from the college-level courses. (3) Other Components: The drills and cheatsheets are also designed specifically for MCAT practice and review. The MP3 audio lectures also provides another channel of learning on the same core concepts. (4) Learning Style: The visual, auditory, hands-on and quick reading are all integrated together to offer an immersion study approach via multi-modal learning for the intensive nature of MCAT preparation. If you are studying the physical science and biological science for the purpose of taking the MCAT, go for the MCAT-level. You do not need to take both levels for the sake of MCAT. Each MCAT course also provides 4-6 foundation chapters to prepare you into the main chapters, all inclusive with no prerequisite. If you are currently enrolled in a college course and need help to get a better grade, go for our college courses, instead of the the MCAT. Q : What other courses I should review to further boost my MCAT score? A : You might want to review your college algebra to prep for general chemistry and physics. Microbiology and genetics are two other courses that will help you with your biological science section. Your sociology (not offered in Rapid Learning) will also be part of the test now. Q : How to Use my iPad/iPhone for Rapid Learning? A : First of all, iPhone screen is still too small to view Rapid Learning tutorials. We will recomend only to use iPad or any tablet for best result. For iPad, you will need a flash browser (a web browser with the Flash support). There are plenty of them in App Store, Safari is not one of them. You can use Puffin or Photon. Just go to App Store and search for "flash browser", you will see a list of them. Q : How to use the Lite Edition's MP3 for my iPad/iPhone? (1) Log in to the membership site with the Lite Edition enabled. (2) Right-Click the MP3 link on each chapter and Save Target As into your local drive. (3) Repeat Step (2) for all 24 chapters, i.e. you will have 24x mp3 on your local drive. Note: If you have the Platinum DVD, just go to /MP3 folder and drag all 24x MP3 into a newly defined playlist or import into your iTunes library. (4) On your iTunes, create a playlist, then drag all 24x mp3 from your local drive into that playlist, and Sync your iTunes with your iPod or iPhone. For Safari on the Mac: You can either right-click on the "MP3 Audio" link > Download Linked File on Safari or hold the Alt Option Key while clicking the left button, the mp3 will be downloaded into your designated download folder (often on your desktop). It is the same as to download any other web documents into your Mac. Once you have the mp3 on your Mac, you then either drag-n-drop into your iTunes playlist or use the iTunes > File > Add to Library option to import into iTunes, then create a playlist, one course per playlist. You can also listen online inside the Rapid Learning Membership site, just click on the mp3 link, your default media player will start the audio automatically. Q : How to use the cheat sheets? A : The cheat sheets are the excellent study aid for high-level review and exam-prep - each sheet contains all the essential knowledge for any given chapter. They are 8.5x11 single sheets. Print them out and either put them into a three-ring binder or laminate them for portable study. Q : How to view the movies? A : Partition one hour quiet time with your computer and study alone. Turn on the speaker and activate your visual and auditory learning channels. (1) To start viewing the tutorial movie, just click on the "Core Tutorial" link, the movie will start playing. (2) You should intensively focus on the Rapid Learning Movie Player's center presentation area and view through the tutorial sequentially in its entirety once. Take notes on problem slides so you can come back to re-study. (3) There are many useful features with our Rapid Learning Player. You can pause the movie anytime by clicking the Pause button at the bottom center, and go to any slide by clicking the slide title on the TOC left panel, At the bottom right, there is a Notes button, you can turn on a Notes window to read the notes while watch the movie too, optionally but not recommended for the first view. On the left panel, you can search by keyword and view by thumbnail. You can also bookmark where you are on the top right. (4) After finishing the movie, go to the Drills for problem practice. Come back to the tutorial if any question. You can view the movies as many times as you wish, but use your time wisely. Q : How to practice the drills? A : Start the problem drill after completing the visual tutorial of the same chapter. (1) Click the Problem Drill link under the chapter heading to start the drill; (2) Each answer choice has an instant feedback when selected. Draft out the problem on paper if needed before making the selection. Do all the problems in one setting. (3) You need to score at least 80% for the pass. If not, re-do the same drill. The questions will be randomized each time. (4) At the end, you can view the summary report by clicking the View Report button and the Quiz by the Review Quiz button. View the solution on the web by clicking the Get Solutions link. After passed, go to review the cheat sheet for the chapter to recap all the key concepts. Q : My DVD does not work, what to do? (3) In the "Edit Location" drop-down list, select Add location > Browser for folder > Select your CD/DVD drive or just type in the drive letter in the blank box, i.e. E:\ and click OK or Confirm. That is! Your DVD should work from there. PS: If your DVD drive can't even display the content of the DVD, you might want to try the DVD on a different computer see if your DVD drive is the problem. The DVD itself is rarely unreadable as shipped. Q : I can't see or hear anything when clicking the movie links, what to do? A : (1) First make sure that you have the Adobe Flash Player installed, if not, get it from Adobe. Turn on your speaker and un-mute the sound. (2) The next thing to check is your Internet connection, which might have intermittent disconnect, especially with a wireless network or WIFI. The best Internet connection checker is the SpeakEasy speed tester. This will check your internet speed with graph (bookmark this). If you have only the dial-up, the speed could become an issue too. The rich-media movies work the best with broadband. (3) If still problem, restart your browser and clear the cache or restart your computer. (4) Lastly, try on different browser or another computer all together. (5) If all fail, report to RLC. Q : What should I do, I can't print the cheat sheet? A : (1) First you need the Adobe Reader to open the printable cheat sheets in PDF, if not, go to Adobe to download and install. (2) Run a test print on your printer from your computer. (3) If you are using Inkjet, print black and white, instead of grayscale, if not color. (4) Restart the computer and re-try. (5) If all fail, report to RLC. Q : I can't log into RLC's membership, what went wrong? A : (1) Be sure to enable the cookies for your browser (IE > Internet Options > Privacy) and set the security to default or lower level (2) Check the Internet connection. (4) Clear the browser cache and restart the browser to try again. (5) If all fail, report to RLC. Q : Flash Player 10 Issue: On CD/DVD, I see a blank player when clicking on the core tutorial link, what then? A : This mostly likely is due to your recent upgrade to Adobe Flash Player 10, which was released 10/15/08. It is a known issue. To verify which version of the Flash Player you have on your browser, just right click on any Flash content or visit this URL to check the version you currently have installed. To fix the problem, you simply just re-install Flash Player 9 back to your system. Click to install Flash Player 9 on Windows or Mac. You can go to Adobe Flash Player Archive to download Flash Player 9 all-in-one installer (99MB). If you have IE on Windows XP/Vista, you can download and install Flash 9 for IE by clicking Flash9_IE (1.5MB Installer EXE) link. Once you install Flash Player 9, verify it again by visiting this URL. You should be able to view the core tutorials then. The Rapid Learning online membership supports all Flash Player versions including 10. You should not need to do anything there. Q : On core tutorials, I occasionally see the last line of text partially rendered. Any idea? A : This is a rare but known player issue. The easy workaround is avaialble. Although it does not occur very often, but if happens, just click ONCE on the playhead of the playback slidebar (progress bar) right below the main presentation screen. The missing text will appear at its completness without viewing interruption. Q : Chrome and CD/DVD: I can't see the Table of Contents in the course viewer when launching from the disk? A : While the online version does not have this issue, for CD/DVD, if you are using Google Chrome as a default browser, you might not be able to see the splitted screen navigation of TOC in the course viewer. This is due to the non-supportive of frame-based navigation in Google Chrome. There are two easy work-around to fix this issue: (1) Continue on using Chrome, but start your course by clicking the "start_mac.html" instead. (2) Use either Internet Explorer, Firefox or Safari, start your course by clicking the "start.html". Q : Security Blocking: I can't see the core tutorials due to the security restriction? A : When you view rich contents online, you might be blocked by your restricted network from accessing non-secured contents. The solution is rather simple. Rapid Learning contents are secured with SSL. To access the SSL secured content, just use the "https://" protocol. Notice the extra "s" after "http", which is for secure URLs. Start out your url with https:// or insert "s" into the current http://. You will be prompted with a dialog saying "This page contains both secure and nonsecure items. Do you want to display the nonsecure items?". Click "Yes" to proceed. Q : Is my monthly subscription refundable if not used? A : All monthly subscription charges are not refundable once it is charged and the access is granted. It is much like your fitness gym membership, your membership is being charged regardless whether you skip the gym or not. It is your responsibilty to use or cancel the service provided. You can log into your account to cancel the subscription yourself or send email or call to cancel it anytime. Even after your cancellation, you will still have the access for the remaining of that month. Do plan ahead and set your reminder for cancellation after your course or your self-study is over. If any question on refund, please review our Refund Policy and proceed accordingly.